We tell you how to do it and what else you should know when it comes to doing your laundry. Over the course of the week, a household produces plenty of dirty laundry such as towels, bed linen, underwear, sports clothes, jeans, T-shirts and much more. A laundry hamper such as “per“, for example, is perfect for storing dirty laundry. If you don’t want to wear clothes that are a uniform grey or a pale shade of red or pink after washing them, you are well-advised to sort your dirty laundry beforehand. The first step is therefore to separate your laundry according to the various colours. Dark clothes go on one pile; white, red and mixed coloureds each go onto their respective piles. • Towels, floor and cleaning cloths, bed linen and cotton underwear are washed at 60°C. This temperature is already hot enough to kill all relevant germs. It is usually no longer necessary to use the 95°C hot wash cycle to “boil” your laundry. However, certain infections call for the addition of an antibacterial laundry detergent. • The 40°C setting, on the other hand, gets ordinary, everyday non-delicates (such as tops, trousers, skirts, shirts etc.) adequately clean. • Silk can be washed using a special mild silk and wool laundry detergent at a low temperature, usually 30°C, and at the delicates setting – or you simply wash it by hand (see further below). • Clothing with a wool content should only be washed in the washing machine if the machine has a special wool wash cycle with a low temperature setting or even a cold wash cycle with an extremely low spin speed. You should also use a special wool detergent. 3. Careful with delicate fabrics! You should always refer to the care label when washing clothes made from delicate fabrics, such as silk or wool, or functional clothing. Sometimes, the machine’s delicates cycle is perfectly suitable. However, you should preferably wash hand-knitted items or particularly fine fabrics by hand. 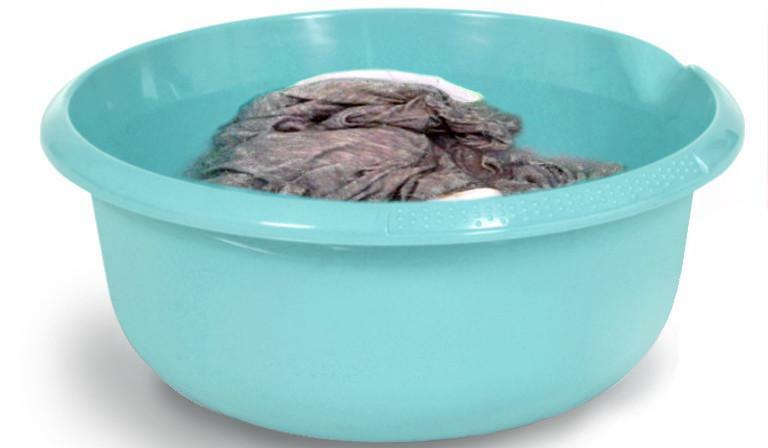 Wash them in a round plastic washing up bowl such as bjoerk, for example. Leave your laundry to soak for ten minutes in lukewarm soapy water with a special, mild detergent for delicates, and then carefully rub out any stains. After that, you need to rinse the item until the water runs clear to ensure that there is no detergent left in it. Carefully wring the piece of clothing out after rinsing, pull it into shape and dry it flat on top of a clothes airer. • If you want save time when doing the laundry, collect your dirty clothes in three washing baskets rather than one (“anton“). As soon as an item of dirty clothing is taken off, it is then put in the respective basket for white, coloured or dark laundry. • You should use your washing machine to capacity but the clothes should lie loosely in the machine; if you stuff too much in, your laundry won’t be properly clean. • You need to add softener only in regions where the water is hard. • Clean, wet laundry should not remain in the machine or in the washing basket for hours on end as it can start to develop an unpleasant odour. • Before you hang your washing up, it’s a good idea to pull each item into shape and smooth it out or give it a good shake. This may do away with the need to iron it, or will in any case make it easier to iron once dry. • If you dry your laundry in a drier, folding it as soon as it is dry will make the clothes easier to iron afterwards. 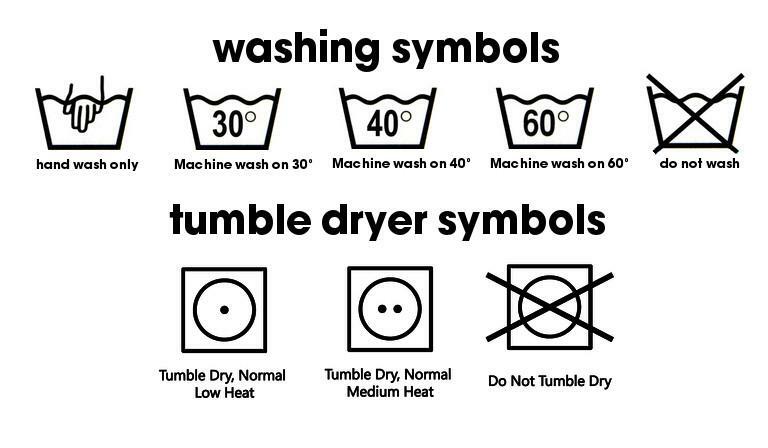 One more tip: if you have not had much experience in doing your own laundry, you should always let the care labels on each piece of clothing guide you. Keep on washing!